Rat Neural Stem Cells (RNSC) are multipotent, and can be induced to differentiate into neurons, astrocytes and oligodendrocytes that make up the central nervous system (CNS). The ability of neural stem cells to retain multi-lineage potential and proliferate extensively in vitro provides new avenues for the treatment of neural degenerative diseases and injuries. Isolated from fetal or adult rat brains, RNSC are maintained in an undifferentiated, proliferative state by culturing them as free floating neurospheres in serum-free medium optimized with growth factors. RNSC are cryopreserved at first passage and can be cultured and propagated for 1-2 passages prior to induction of phenotypic differentiation. 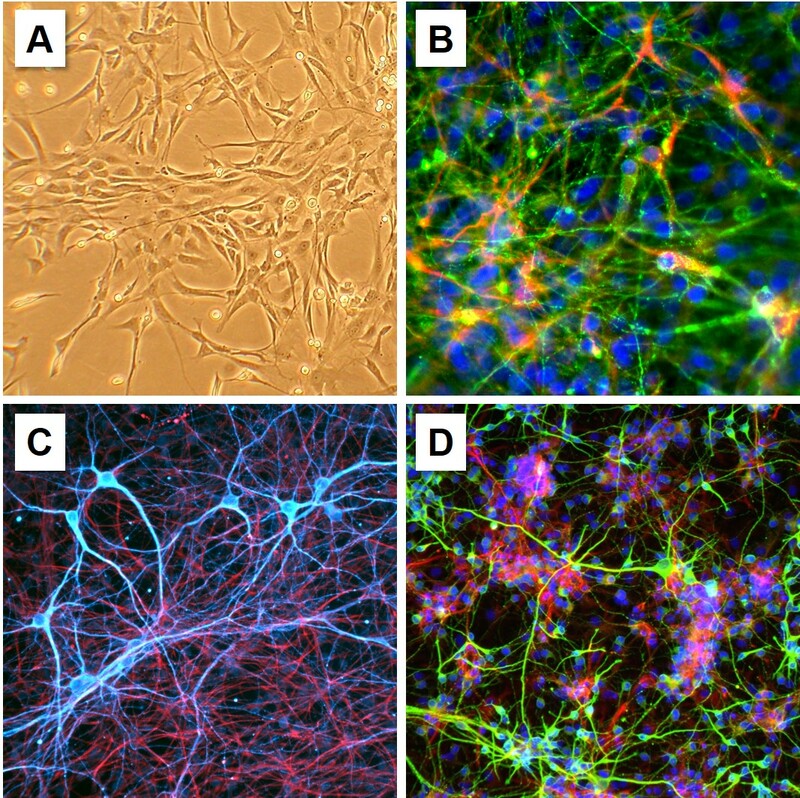 Differentiated RNSCs are positive for β-tubulin III, GFAP and the oligodendrocyte marker O4 when cultured in Rat Neural Differentiation Medium. When cultured in Rat Neural Stem Cell Growth Medium, RNSC form the neurospheres that when transplanted into intact brain, survive, expand and differentiate into mature neurons, astrocytes and oligodendrocytes in 3 weeks. Laboratory research use only (RUO). Not for human, clinical, diagnostic or veterinary use. © 1994-2019 Cell Applications, Inc. All rights reserved.